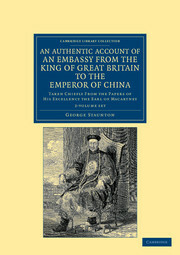 This two-volume work, published in 1844, is a memoir of time spent in China by Captain Arthur Cunynghame (1812–84), aide-de-camp to Major-General Lord Saltoun, Commander of the East India Company's troops in China. 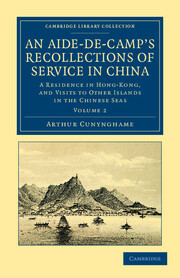 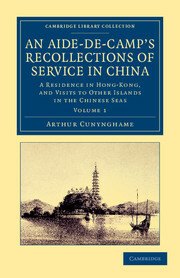 Cunynghame set off from Plymouth Sound on board HMS Belle-Isle in late 1841 to take up his post, and the first half of Volume 1 consists of a description of the long journey out to China (they touched at Rio de Janeiro before re-crossing the Atlantic to South Africa, and later visited Singapore and Hong Kong). 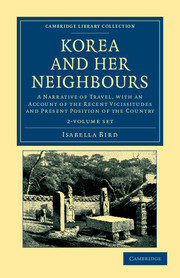 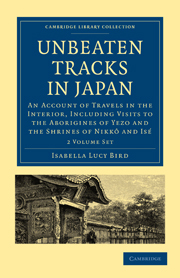 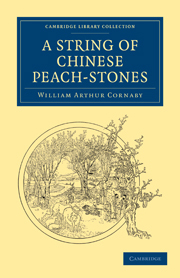 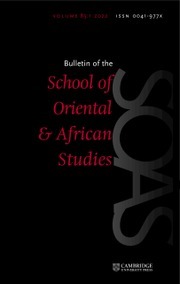 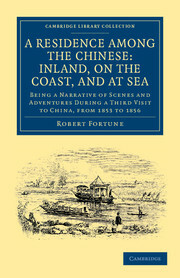 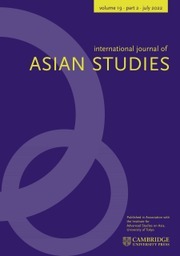 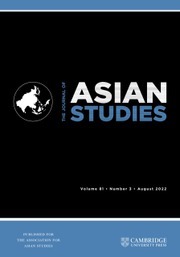 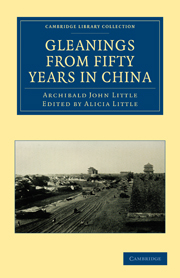 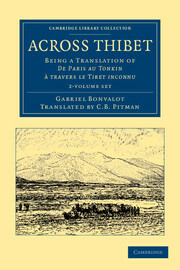 Having arrived at almost the end of the hostilities of the First Opium War, he was able to travel widely in China, and recorded much of what he saw: as he observes in his dedication, 'events and anecdotes occurring in a country that is so strange and new to all Europe may be worth recording'.